From isicad.ru editorial team: After a 2-year break, in July 2013 LEDAS, not interrupting work on its main specialization - software development services for complex CAD systems and applications - returned to creating its own products and technologies. These pilot projects are exercised by a special unit - LEDAS Labs. 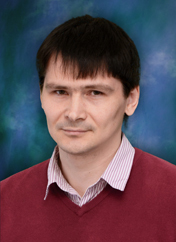 As we approach LEDAS 15th anniversary in April 2014, we asked Alexey Ershov, LEDAS CEO, to tell us about these new projects and how the work of LEDAS Labs correlates with LEDAS efforts, and to describe company’s contacts with Russian partners.